We at SYDCUT are a commited team of highly trained operators who use the very best state-of -the -art equipment, adher to the strictest safety standards and who do everthing possible to deliver the best quality service each time … every time! Our team has been providing the core drilling services for road works for many years and have the expertise you need to complete your jobs on time and on budget. Concrete is one of the toughest and most durable materials to work with and that’s why it needs special treatment. It requires highly complex, powerful and precise machinery which can deal with solid, rock-hard concrete without laying waste to the surrounding areas. Ready set go! Syduct concrete cutting!!! We at Syd Cut are fully equipped to handle all forms of projects no matter how big or small it is. From small residential projects to large government projects, we can handle any and every work that is related to concrete cutting. Whether you want to create a new swimming pool in your yard or want to renovate your side walk, we should be your first choice. We can work under strict deadlines as well. 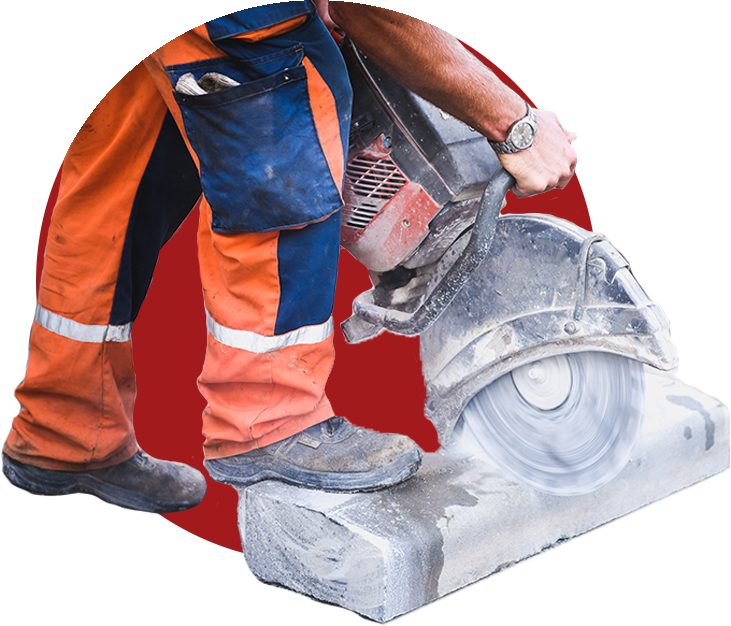 Why Choose Us For Concrete Cutting In Sydney? We are highly skilled in our work and can deliver perfection in each of our projects. Our craftsmanship is unbeatable and this is the reason why we are a preferred choice for customers who are looking for concrete cutting services in and around Sydney. One thing is set in concrete! concrete without laying waste to the surrounding areas. If you’re working in tight-fit or busy commercial areas. I recently used Sycut for some concrete cutting in my home which I am renovating and the work was done to a high standard and great quality. His prices were very competitive and fair compared to others received. I highly recommend Sydcut as they are a pleasure to deal with. Workmanship with Sydcut is highly professional and efficient. He completed the work within a short time frame and was very clean with the work he performed. We will definitely be using this company again as they were very easy to work with.